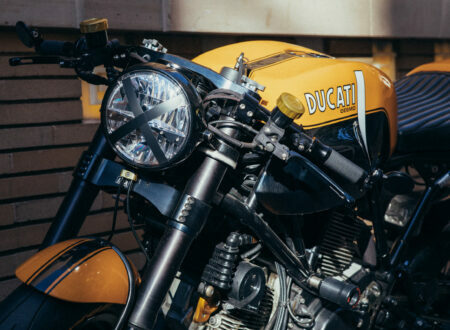 The company we now know as Ducati was founded in 1926 by Antonio Ducati and his three sons, Adriano, Marcello, and Bruno, and it was originally named “Societa Scientifica Radio Brevetti Ducati”. 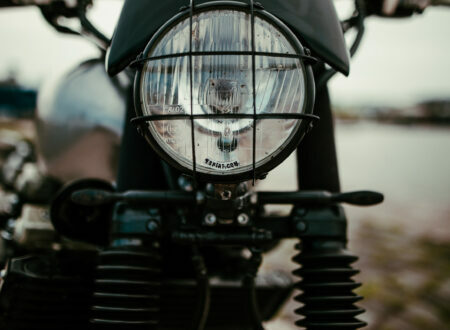 Ducati originally made condensers, vacuum tubes, and other intricate radio parts – and by the outbreak of WWII the company had become important enough to be a popular target for allied bombing. 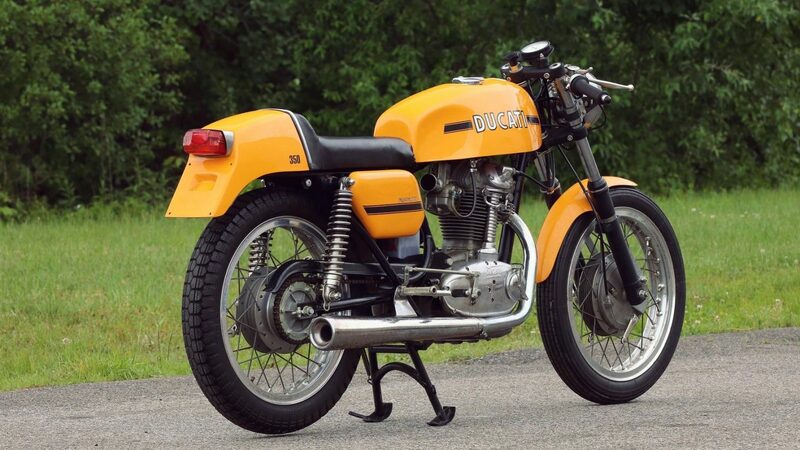 The first Ducati-badged motorcycle was a 48cc model named the Cucciolo, it was introduced in 1950 and achieved a top speed of 40 mph and a smidge under 200 mpg. 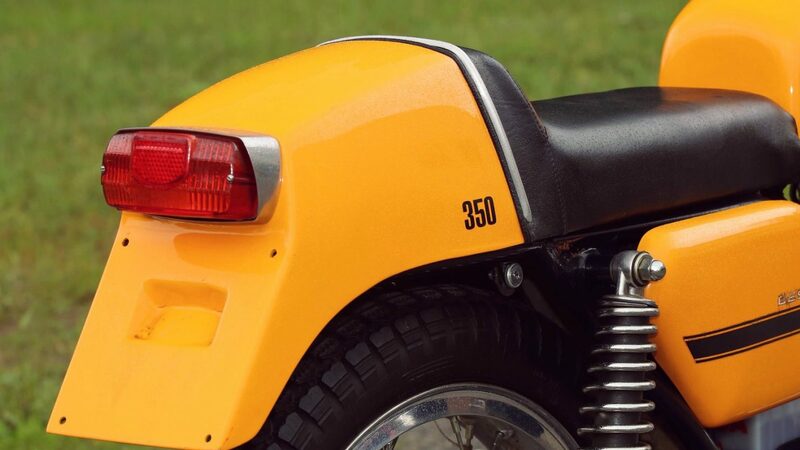 In the decades that followed, those two numbers have moved a lot closer together. 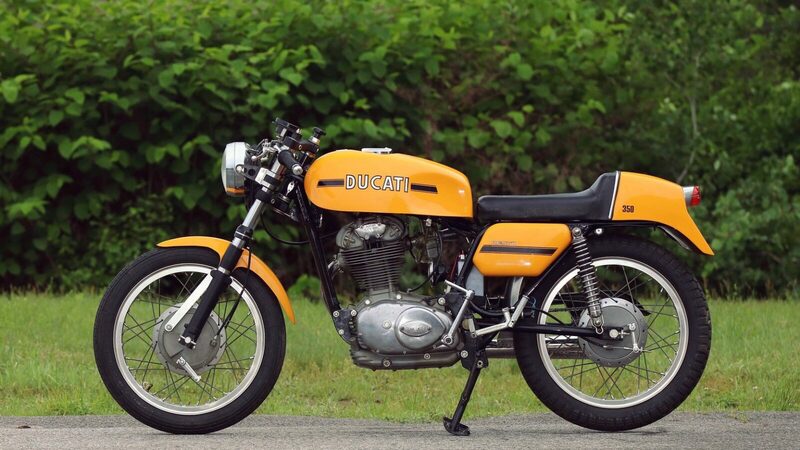 In 1969 Ducati brought a new series of single-cylinder motorcycles to market, with engines developed using Desmodromic valve technology that they’d been using in their race bikes with significant success since the 1950s. 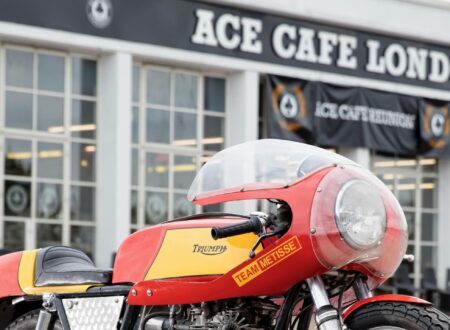 The move to Desmo would be one of the most important moves in the history of the legendary Italian company, and today there are many that have no idea that before Ducati adopted the system, it was used (less famously) by companies from Norton to Mercedes-Benz. 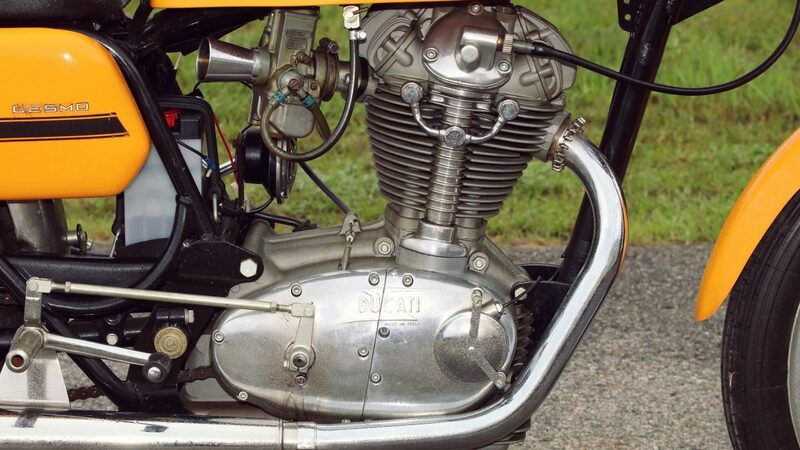 The 350 Desmo (actually 340cc) single-cylinder Ducati benefited from unit construction, a 5-speed gearbox, a wet multi-plate clutch, a single Dell’Orto VHB 29 carburetor, and 30 hp at 8000 RPM. 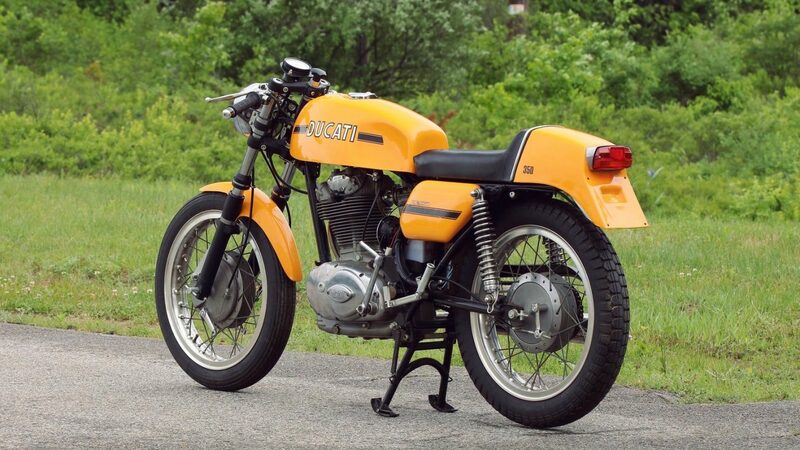 With a dry weight of 127 kilograms, the Ducati 350 was a spritely performer – particularly by late 1960s standards. 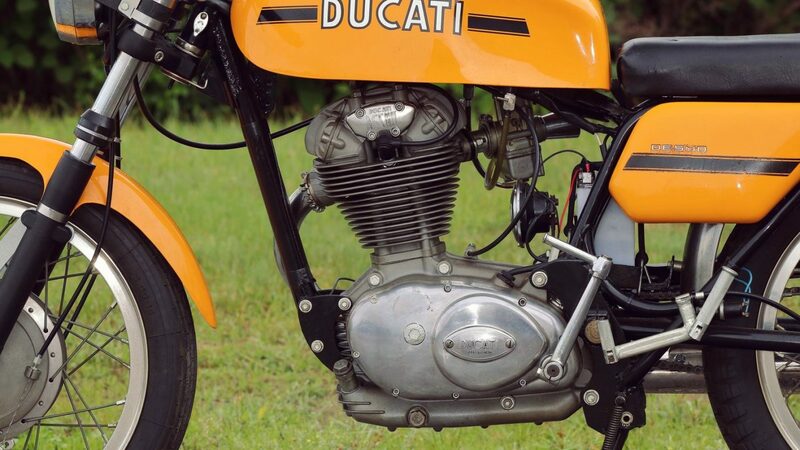 The Desmodromic engine is most closely associated with Ducati, the Italian marque turned to the technology in the late 1950s when they hit the RPM ceiling using a more traditional overhead cam engine with springs to close the valves. 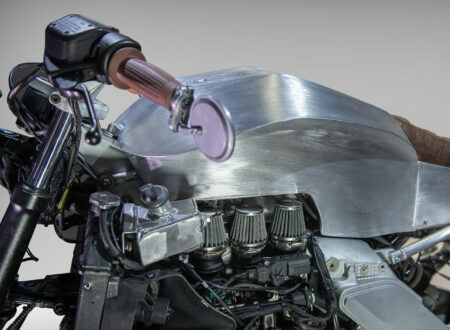 In layman’s terms, a Desmodromic valve is both opened and closed by a cam (via a rocker arm typically), whereas a typical engine uses a cam or cam and pushrod to open the valve, with a spring to close it. 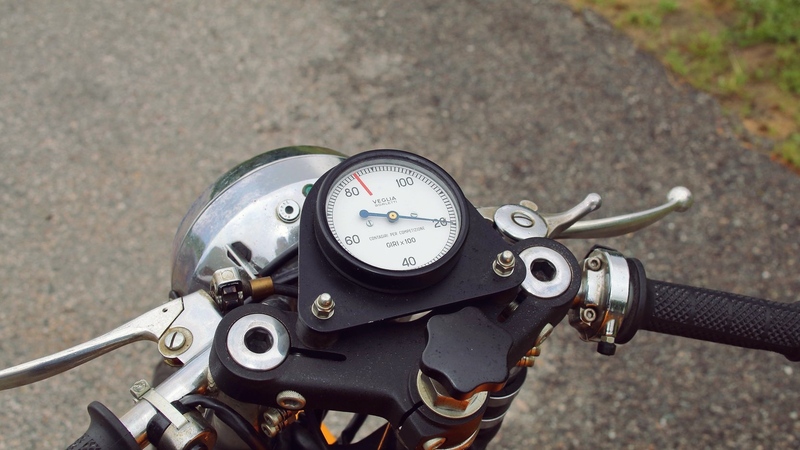 The downside the using springs for valve closing is that at higher RPMs the springs can no longer keep up and you get valve float – often resulting in valves and pistons meeting, which causes your engine to immediately and noisily become an expensive boat anchor. 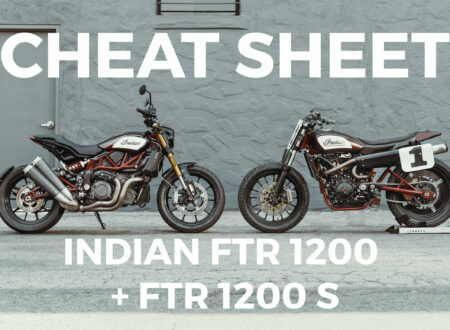 This has become much less of a problem as metallurgy and engineering knowhow has advanced, but Ducati have fine-tuned their Desmo engines and as the saying goes – if it ain’t broke, don’t fix it. 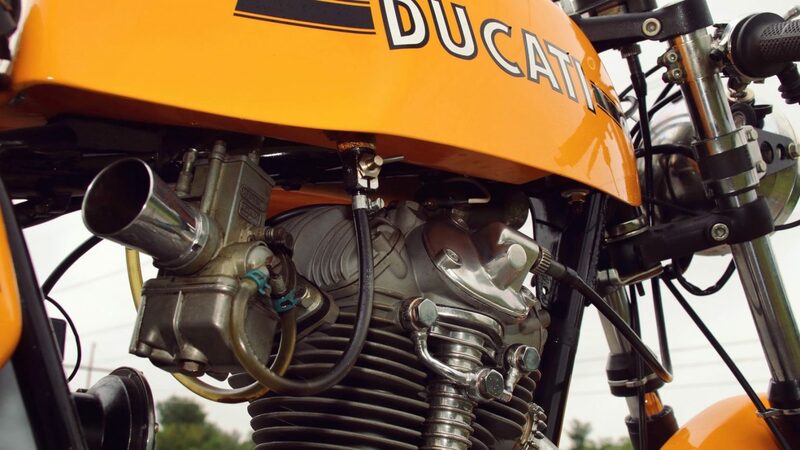 Chief Engineer Fabio Taglioni pioneered the use of Desmodromic valves in racing motorcycles for Ducati in the late 1950s, but it wasn’t until 10 years later that road-going Ducatis were fitted with Desmo power units. 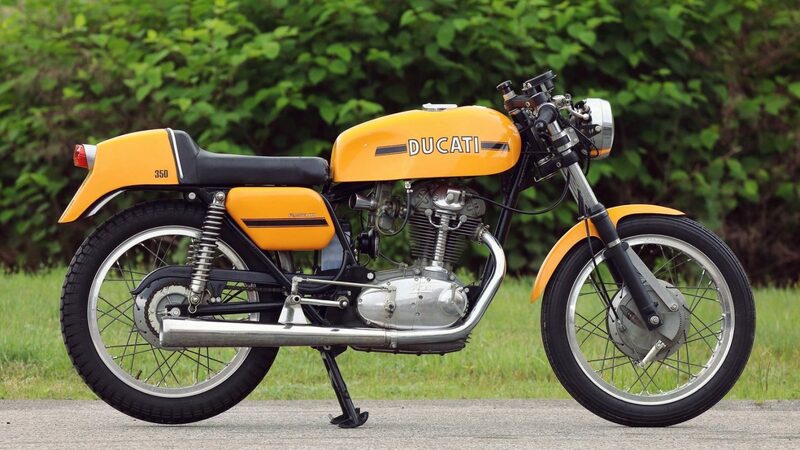 In 1968 Ducati rolled out the new Desmo models, in 250cc, 350cc, and 450cc versions. 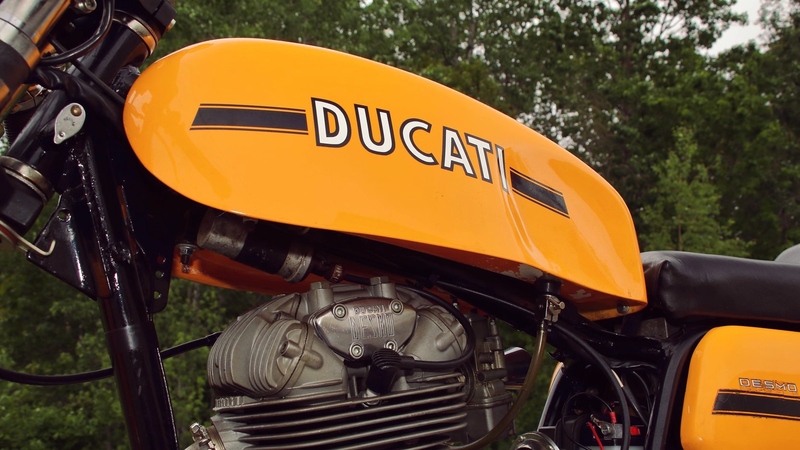 All of them were single-cylinder designs, and the lessons learned by developing production Desmodromic engines were rolled into the first Ducati L-twins designed by Taglioni in 1970. 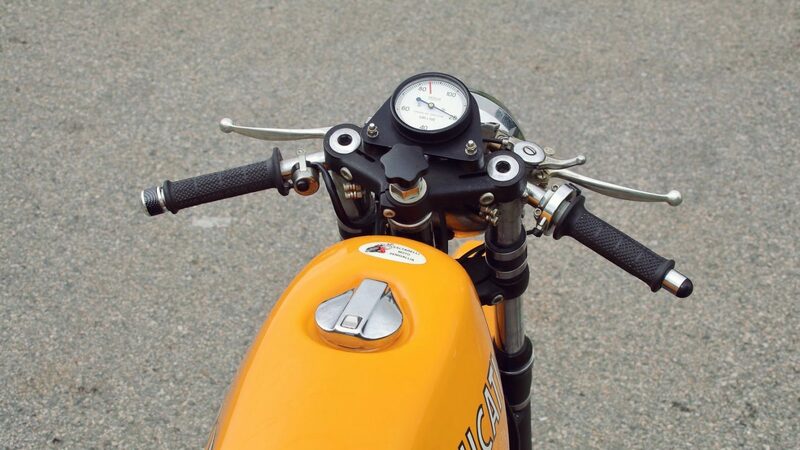 The all-original Desmo 350 you see here was formerly part of the Saltarelli Moto Collection, many consider it to be one of the finest Italian mid-sized bikes of the era – thanks to its punchy single-cylinder motor, clip-on handlebars, racing seat, rearsets, and purposeful riding position. 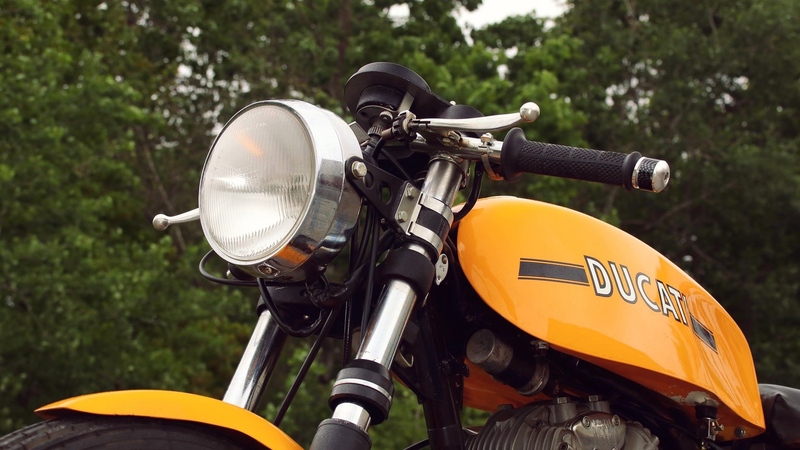 There are few motorcycles as fun as a well-powered lightweight single, and there are few well-powered lightweight singles that can match a properly sorted Ducati Desmo 350. 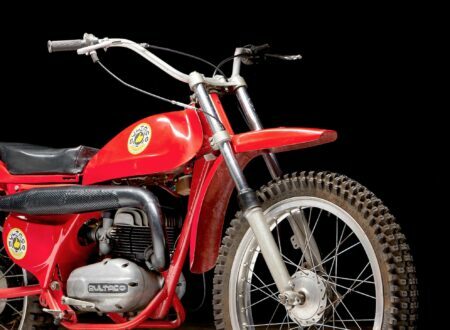 If you’d like to read more about this bike or register to bid you can click here to visit its listing on Mecum.